I spent the day in Edmonds, a beautiful town just north of Seattle on Puget Sound. 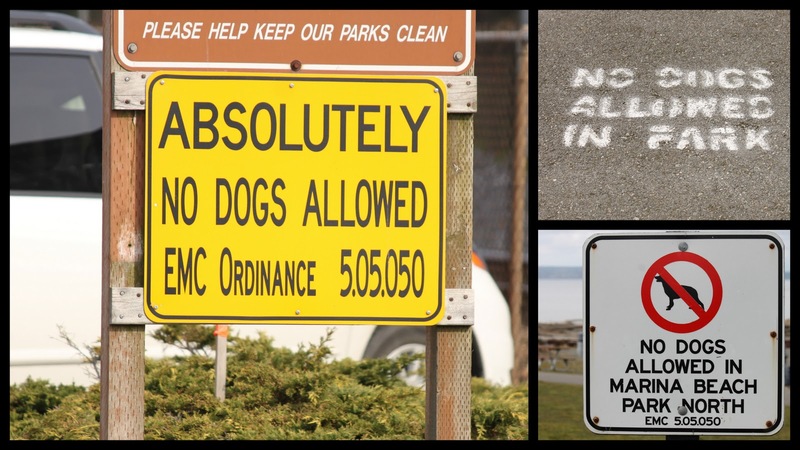 I brought the dogs with me but because the town's beach parks are protected marine sanctuaries, there are no dogs allowed. This was made clear through a variety of signs. That was okay, we found plenty of places to walk outside the boundaries of the parks. I started the morning at the Port of Edmonds south of the ferry dock. There's a big marina there with a pier to the north and a beach to the south. There were lots of starfish in the water at the marina. So cool. Ok, now for the birds.... There were Horned Grebes everywhere! I think the first one is a Common Goldeneye and the second is a Barrow's. On the marina walkway were a couple of pigeons... I don't see pigeons that often (at least close up) so I stopped to take some photos. I walked down to the marina beach and scanned the sound for birds. I quickly found three Pigeon Guillemots a little ways out... New bird for me! 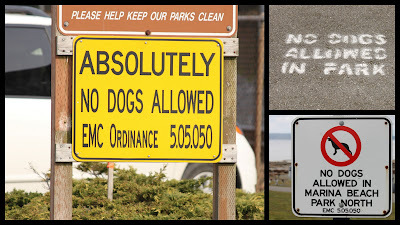 I walked down the beach and found where the dogs of Edmonds go to let loose- a good-sized off-leash area right on the water. The birds didn't seem too bothered by the dogs and I found two gorgeous pairs of Harlequin Ducks just offshore. I saw what I think is a Herring Gull having a nice snack... Right by all the dogs too. After the beach I headed to the pier... There was some interesting fish art going on. I saw two more Pigeon Guillemots from the pier too. Woohoo! Wish they had been closer, but still great to see them. Dogs weren't allowed most places I visited in the morning so I spent the afternoon walking Jake and Ralph around town. From Sunset Ave I could see lots of scuba divers and lots of Brant. I really loved my visit to this town... I'm going to have to go back soon! Amazing roster there---Glad you didnt let the Sings deter you from enjoying your day--You got some great shots too...I saw horned grebe this weekend but my photos suked--Great Lifer on the Pigeon Guillemot!!! I enjoyed the fish and coromrant art Very much...people are so creative!! Beautiful shot of all the birds and ducks. Lots of variety there. Glad you heeded the signs. We need those big signs here. People seem to ignore the little signs here. Lots of great stuff Jen! I love the closeup of Pigeon. Also the male Red-breasted (I've still only seen females). Nice and close. Now that was one incredible walk! Beautiful blog, glad I found you (by way of Slugyard). Great birds. Luv the pigeon guillemot. Never seen one!